No. 3A, Jalan Teknologi 3/5A, Pusat Teknologi Sinar Damansara, PJU 5, Kota Damansara, 47810 Petaling Jaya, Selangor, Malaysia. specializes in the sales and services of industrial and commercial products. 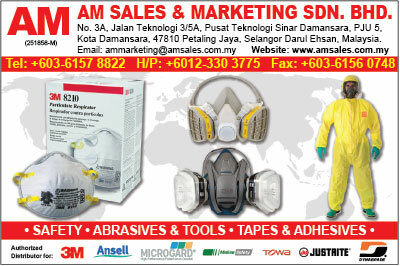 industrial occupational health & environmental safety (OHES) products under 3M, Microgard, BEST, HexArmor, APEX and other brand names. electrical and electronic, oil and gas industries.